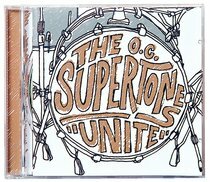 The Supertones have sold over 1 million CDs, established themselves as one of the best live bands in Christian music, taken Ska to a new level, and had several radio successes and Dove Nominations. This is a band that has created a name for themselves! UNITE looks back at the band's career, bringing you all the big hits, like 'Supertones Strike Back,' 'Adonai' and many other defining songs - plus a few new tunes thrown in for good measure!